Discussion in 'WTF @ TFW Transformers Podcast' started by Vangelus, Dec 18, 2018. 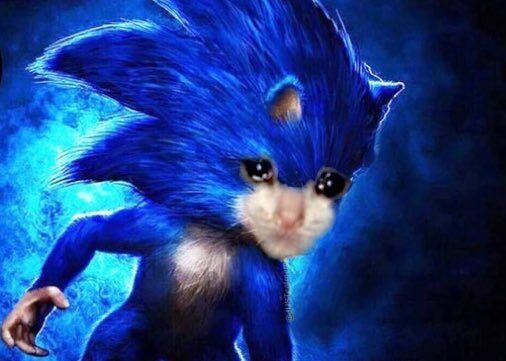 Why you gotta hurt us with that repulsive Sonic? So Chris once again is showing he doesn't quite get how box office business works. December is far from a death slot, and in fact has become very competitive in the past few years. Typically, two, maybe three movies will do well during the holiday season, with everything else falling by the wayside. Often you'll have one family and/or Christmas movie, one big blockbuster action movie, and maybe an animated movie will do well, depending on if the bigger family movie skews a bit older. This year, Mary Poppins Returns is pretty much a dead lock for being not only THE big family movie, but probably the number one movie overall. If one of the two big action movies is a hit, it's pretty much a toss-up as far as I can tell. Aquaman and Transformers are basically equal-measure "joke properties" in the eyes of the general public, with Aquaman possibly having the edge due to Momoa's Game of Thrones presence. Spider-Verse is almost certainly gonna get lost in the shuffle. If Sony were smart, they'd have gone full release a full week earlier. Poppins skews young enough that I don't think most families are gonna be looking for an animated alternative and if anything, The Grinch will likely have a resurgence due to being the only notable Christmas-themed movie out right now. I hope I'm wrong and kids just love Spider-Man enough to get that movie legs, but it seems unlikely. As for Bumblebee, it could go either way. The positive early response helps a lot, but again, Aquaman has a guy from Game of Thrones in it AND has had similarly surprisingly positive buzz though not as universal as Bumblebee. It's also possible that no one's really gonna really be looking for a big action movie and Poppins is just gonna blow everything else away. I have heard the movie Sonic likened to how some rule 34 content leans. Now we already had a game with Sonic smooching an anatomically non-cartoon human girl. You're welcome. If the Bayverse is the G1 movie series that would make Studio Series their Classics. Which is already evolving into generations; carrying what's going on in the media right now. @Vangelus i have a question. If I wanted to ask the podcast a question, where would I go. For context, I don't have Facebook or twitter. Actually other than this and the toku sister site and YouTube, I have no other social media. B o n a Ventura would have came off better if he yelled " I'm just here alright?". You can not like Cybertron for all the same reasons. He probably views Transformers as cars that do stuff. Edit: not that he needs help having weird views on tfs. Sorry, I tend to have that weird "gatekeeping" reaction like you do when people don't know things about Transformers, just for movies. Guess that's a weakness we share in an odd way. Well THIS particular December is considered a "death slot" because it's so competitive. Because it's such a crowded month this year, movies are all splitting a smaller share each of the December crowd. That's what the term has meant in the recent conversation, so Chris isn't super far off in using that phrase. And my 2 cents on the whole "Fake parts/MP-44" thing, I don't necessarily have a problem with fake parts, some great toys have fake parts (see FE TFP Optimus). My problem with MP-44 and many of the more recent MPs is that the transformation isn't accurate. Most people I guess mainly look for accuracy in the robot mode and the vehicle mode, but from the transformation is just as important. I get that to engineer more model-accurate modes, the transformations need to be a bit extra complicated with additional moving parts and steps. I get that, but there's a balance that can be reached with it. I like when the spirit of the original cartoon/toy transformation is there, that you feel like you're recreating what you saw on the show or did with the original toy. Pre-2017 Masterpiece has, for the most part kept that pretty well. MP10 had extra steps and panels, but the big major moves of the original transformation is there, and the extra flips and panels are more auxiliary to the experience. Same with figures like Wheeljack and Shockwave. With figures like Megatron and especially MP-44, the transformation accuracy is kinda lost. The big moves are lost in all of the panels and the complicated ways proportions need to be adjusted. Yes the transformations are nice and tactile and interesting, but in my humble opinion, in motion the MP transformations have become kind of "explode everything and put it back together a different way," similar to Movie transformations. Basically my mental test is "Imagine that figure transforming in a stop motion animation. In motion, does it still overall look and feel like how the character transforms in the toy/cartoon it's representing?" If not, then it feels like it's lost that important something to me.